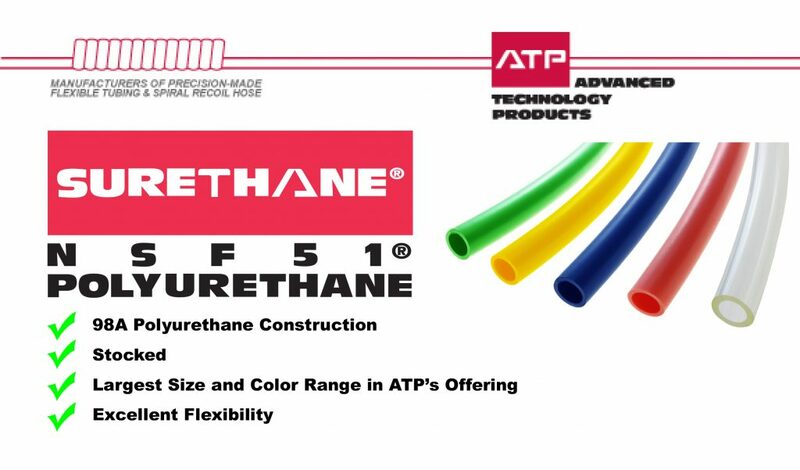 Surethane® Tubing is constructed of 98A durometer flexible, kink-resistant polyurethane. 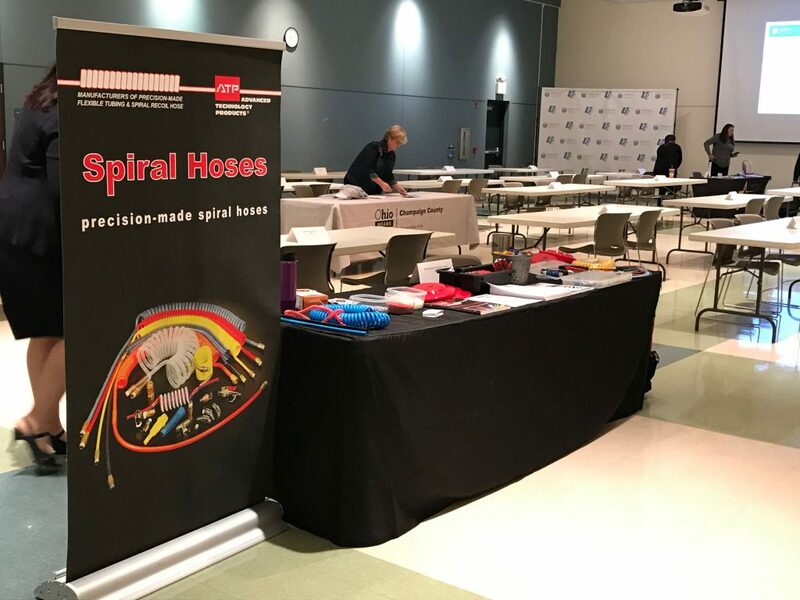 The advantage of this highly flexible polyurethane is seen by installers who require complex bends and turns, but still require a higher working pressure. 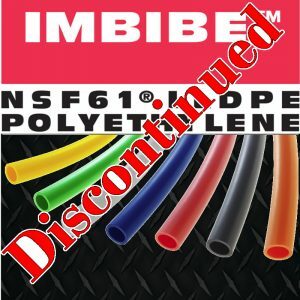 Surethane® 98A Polyurethane is NSF 51® certified for use in food and beverage applications, and is compatible with barb, compression, or push-to-connect fittings. Surethane® exhibits exemplary resistance to a broad range of chemicals, making it ideal for fluid transfer applications. Within ATP’s lineup, Surethane® represents the largest collection of sizes and colors, with custom options available. Busy Recruiting Week at ATP! 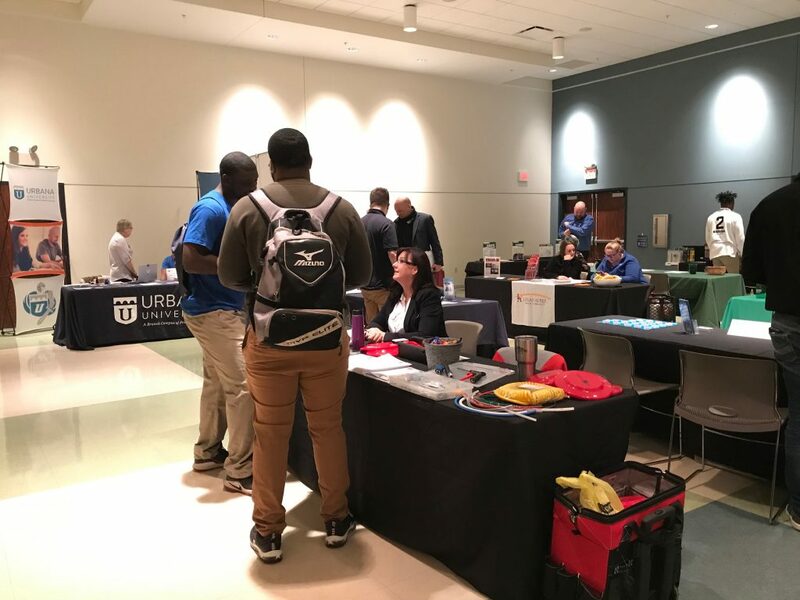 This week, ATP participated in the West Liberty-Salem High School Job Fair and the Urbana University Job Fair. 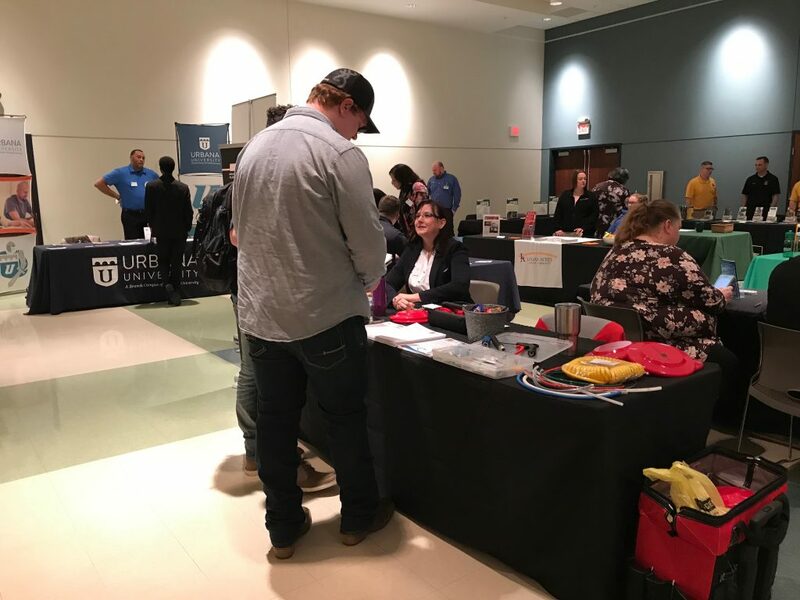 We were fortunate to speak with many pupils whose studies focus on manufacturing. 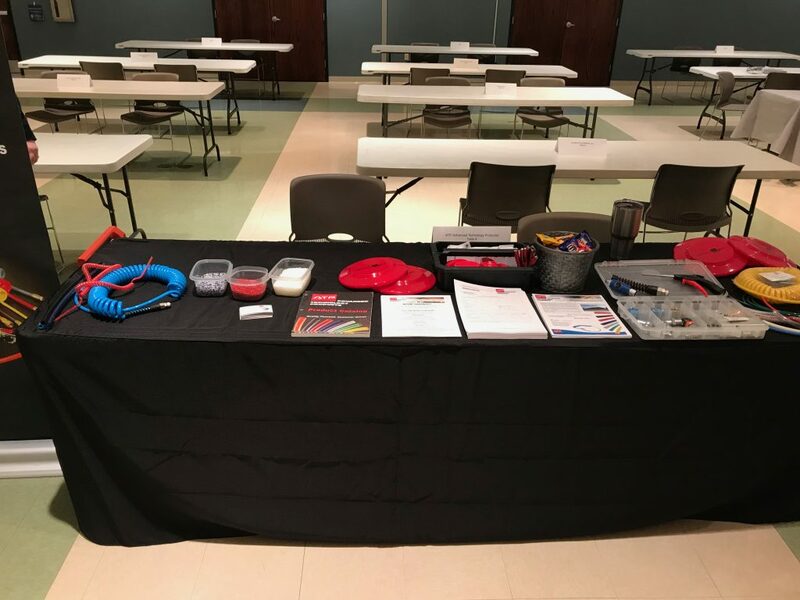 ATP is currently looking for full-time, part-time, and summer help in their Milford Center, OH manufacturing facility and their Mechanicsburg, OH distribution center. 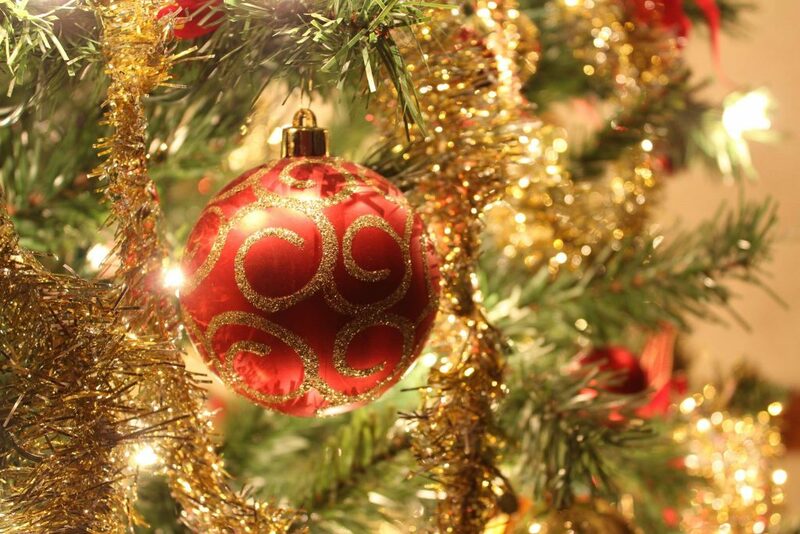 Big thanks to Holly and George for their efforts! Did you know that ATP stocks a large assortment of Oetiker® Ear Clamps? Ear Clamps are a quick and effective method of securing hose and tubing onto barb fittings. 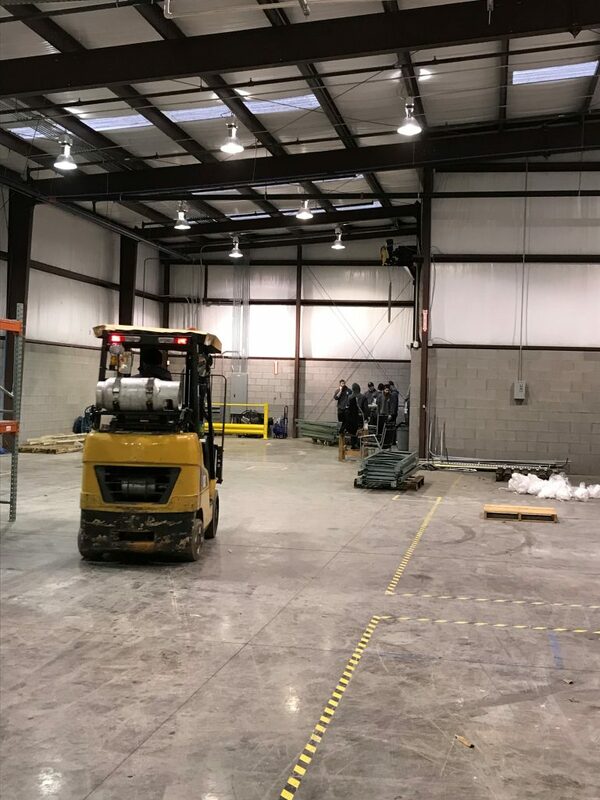 Their installation is executed through the use of an installation tool and an appropriately sized clamp. Once the correct clamp size is selected, installation is repeatable and swift when compared to a worm drive unit. All Oetiker® Ear Clamps feature a smooth, burr-free finish along with published and easy to determine sizing ranges. There are five configurations that comprise ATP’s offering. 101 Series: This double ear clamp is composed of steel with a protective zinc-plating. The 101 series contains two ears, allowing for a more “elastic” installation in situations where high heat and/or vibration occur. 151 Series: Similar to the 101 series, these clamps contain two ears for more “elastic” properties. The 151 series is constructed of stainless steel for enhanced corrosion resistance. 153 Series: The 153 Series is constructed of stainless steel and offers a simple installation with its single ear. 155 Series: The 155 series is the clamp one would choose for corrosive environments. These clamps are stainless steel and feature a mechanical interlock, which eliminates the standard spot weld seen on other clamps. 167 Series: The 167 Stepless® Series features a special design aimed at providing even, uniform compression force inside the entire circumference of the clamp. The 167 series shines especially in instances where softer materials are being clamped such as PVC and softer Polyurethane. 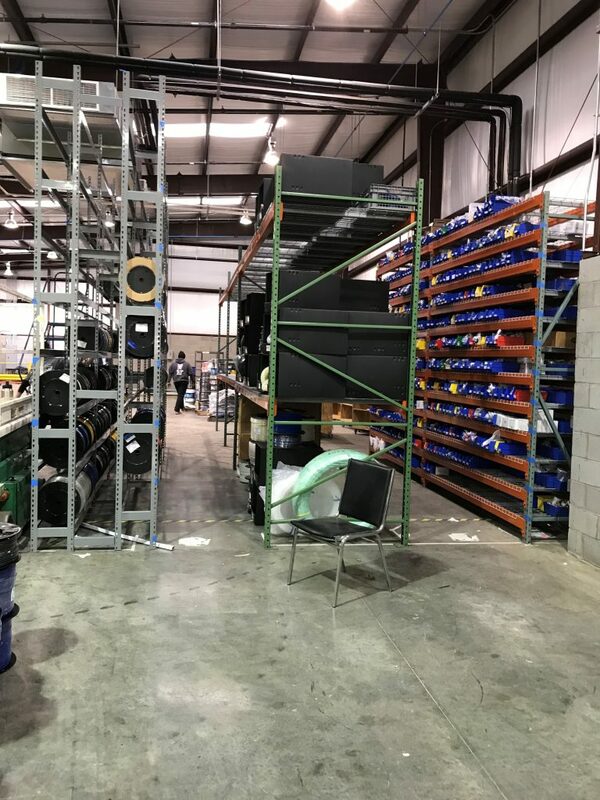 Many don’t realize that in addition to two locations in Ohio, ATP also services customers from a facility in Tennessee. 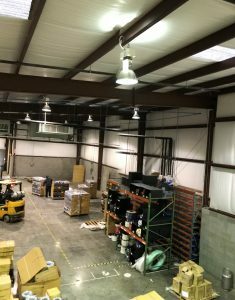 We outgrew our Murfreesboro facility and have relocated to Lavergne. Here are some pictures of our move-in. A special thanks to our TN team on their efforts. 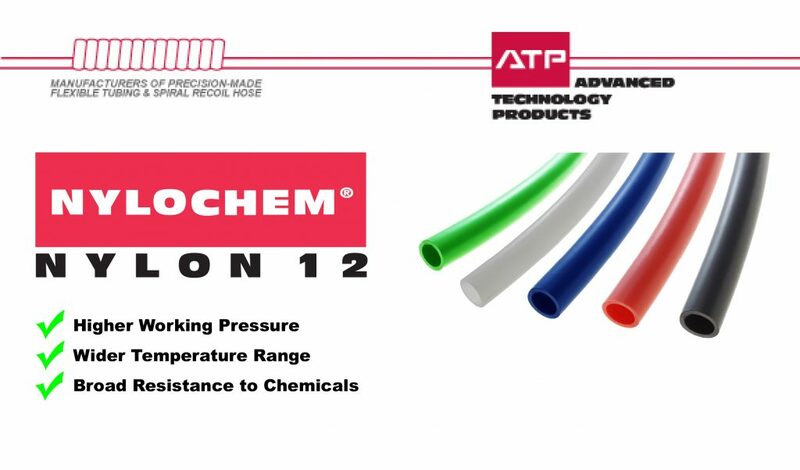 Nylochem® Nylon Tubing offers an increased working pressure and wider temperature range compared to other materials such as polyurethane and polyethylene. Extruded from Nylon 12 (PA12) resin, Nylochem® offers an increased resistance to cracking, abrasion, and moisture absorbsion. Nylochem® is resistant to a large range of chemicals that include oils and solvents, making it ideal for installation in industrial settings. 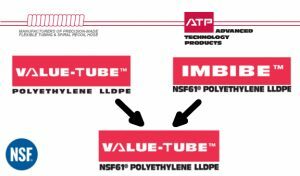 Installation should include compression or push-to-connect fittings such as ATP’s Technifit™ series. 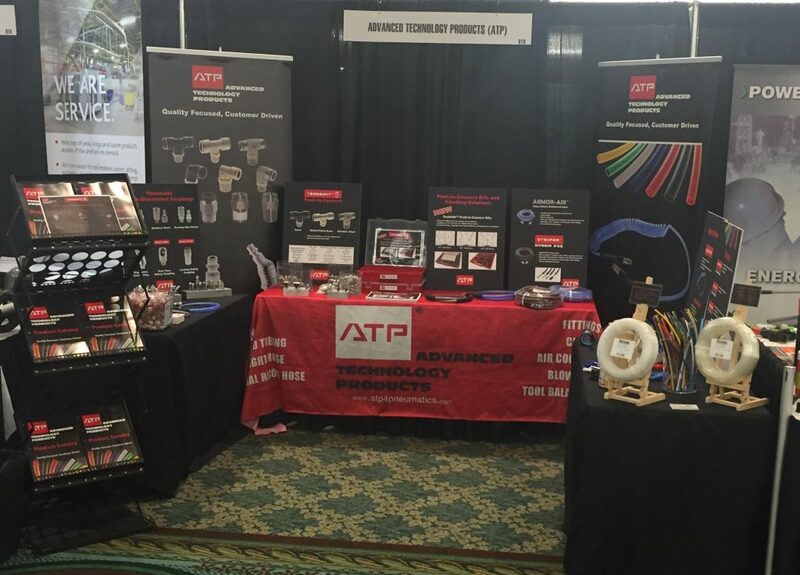 ATP is exhibiting at the 2018 Fastenal Industrial and Construction Expo in Orlando, FL. 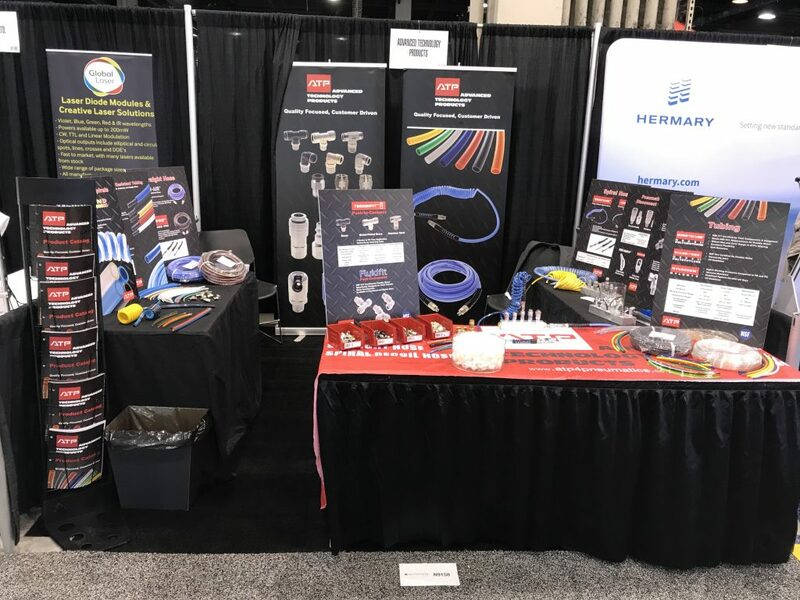 On display is our offering of tubing, spiral recoils, fittings and straight hose. We are located at booth 816, be sure to visit. 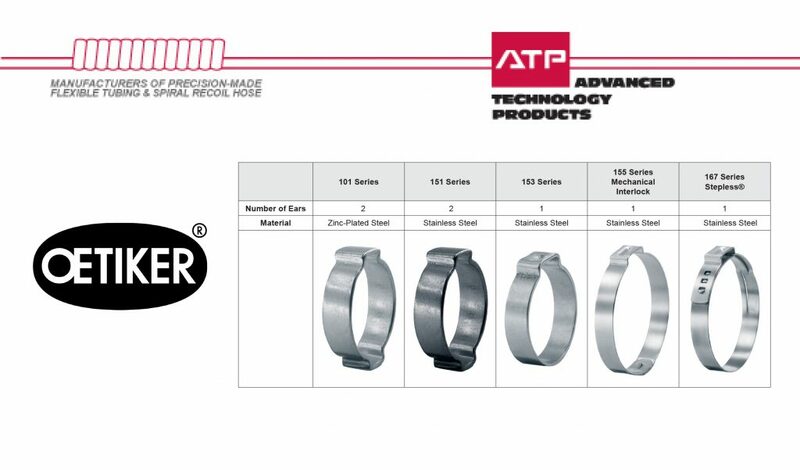 Weld spatter-resistant tubing from ATP is installed near welding operations where other tubing is typically damaged. Available in single-core or jacketed configurations, this tubing can be placed in areas subject to direct contact with sparks.